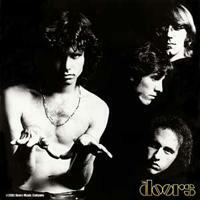 The Doors was a rock group formed en Los Angeles in July 1965 and disbanded in 1973. Along with bands like Jefferson Airplane and Grateful Dead, The Doors became one of the leading musical groups of psychedelic rock in the 1960s. The Doors was formed by Jim Morrison (singer), Ray Manzarek (keyboard and vocals), Robby Krieger (guitarist and harmonica), and John Densmore (drummer and percussionist). The band never had a bassist, instead its sound was dominated by the electronic organ played by Manzarek and by Morrison's deep and low voice. This ranking includes every studio album they have edited and released. Which is the best Rock album of all time?